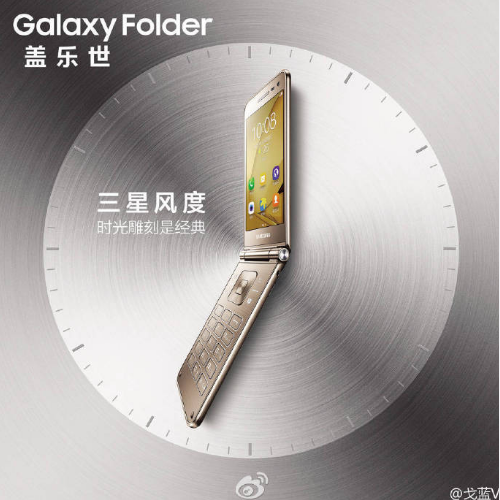 The Samsung Galaxy Folder 2 – which has already received Bluetooth certification and cleared the FCC as well as TENAA – has now leaked in promotional images, indicating an imminent launch. The images, which show the golden variant, reveal a slim body. As for specs, the device is powered by a quad-core Snapdragon 425 SoC clocked at 1.4 GHz, and sports a 3.8-inch touchscreen display of 480 x 800 pixel resolution. It has 2GB RAM and 16GB expandable memory, and packs in a 1,950mAh battery. In terms of camera, the handset features an 8MP main unit and a 5MP front shooter. 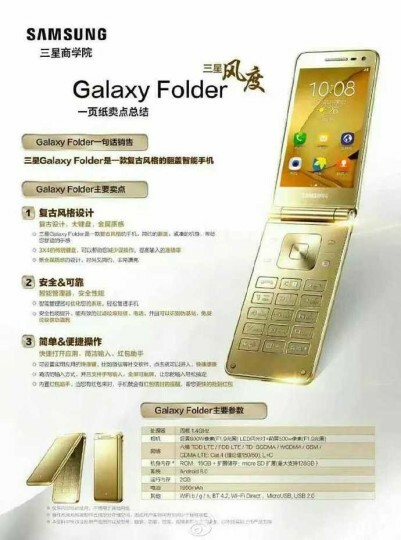 Measuring 122 x 60.2 x 15.5mm and weighing in at 155g, the Galaxy Folder 2 runs Android 6.0.1 Marshmallow out of the box.